The administration of Silivri Prison in İstanbul, a facility that holds mainly political prisoners, has set up CCTV cameras in the toilets and bathrooms of the women’s wards, a violation of the female inmates’ right to privacy, several Turkish media outlets reported on Thursday. According to the Sol news portal, several female inmates complained about the situation in the prison to their families and lawyers during visits. The women said the CCTV cameras’ visual angle covers the toilets and bathrooms, in the process violating their privacy. Inmates can only use bathrooms and toilets after blocking the angle of the cameras. 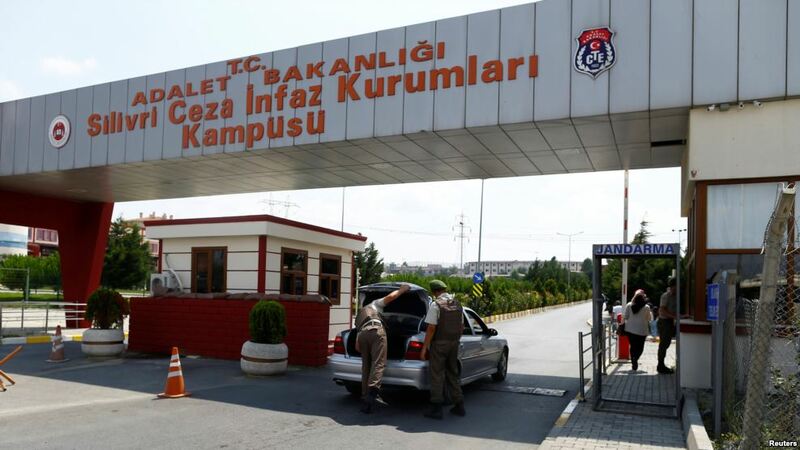 The report said female inmates in Silivri Prison are demanding that the public be sensitive to their right to privacy and start a campaign to compel the prison administration to remove the CCTV cameras from the toilets and bathrooms. Today, the Silivri Prison is the world’s largest journalist’s prison, as nearly one-third of the arrested journalists across Turkey are currently kept there. As of today, Silivri has about 50 journalists, including Deniz Yücel, Ahmet Altan, Mehmet Altan, Mehmet Baransu, Şahin Alpay and İnan Kızılkaya.